Sweets are always a refreshing gift. They rejuvenate mind and body by triggering the happy cells in our body. Take this tray of Mohanthal sweets and show your love for your friends and relatives. 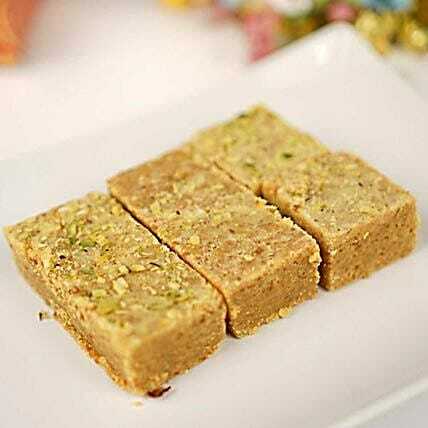 This is quite a famous sweet to be distributed among people during Diwali or Holi. So, do order your tray of sweets from us!